On the evening of the 8th July Delamere Cafe will be hosting a mountain bike film double bill to raise money for Wheels 4 Life and the IMBA. As the poster says there will be not just the films, about which there is more below, but also food and drink and a raffle to give away some DVD copies of the films, all for a £3 donation to two great charities. The night should make for some ace post or pre ride entertainment. What's not to like? 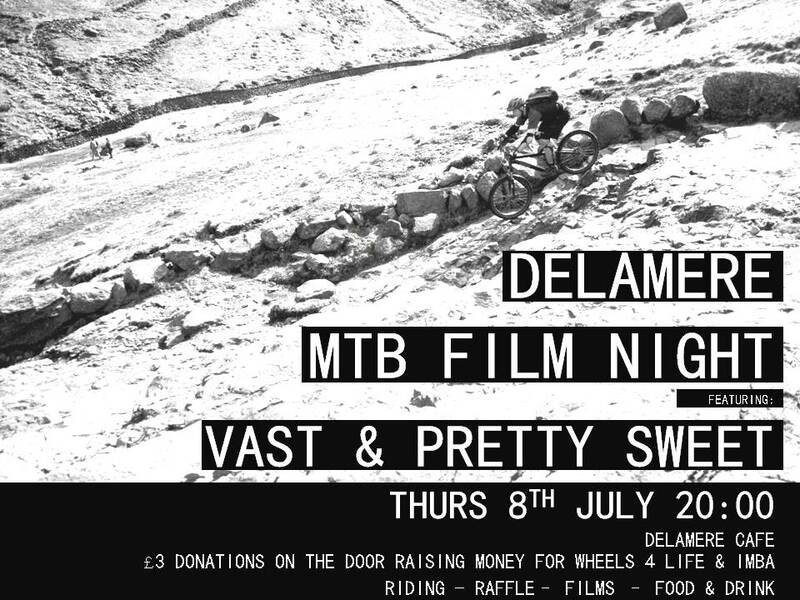 Support is provided by PRETTY SWEET, a low-fi mountain bike film about pointing your bicycle at the mountains and seeing what you find. It is a film that shys away from huge huucks and DH action and instead sets out to show just how much grabbing a map and heading into the mountains by bike can offer. Pretty Sweet Teaser from David Martin on Vimeo. We like mountain biking. We like filming, taking photos of and writing about mountain biking. We made a film with a camera that much like Cedric Gracia, was awesome 10 years ago. Regardless, it turned out pretty good. Find out a bit more about it. Then we made another film with a better camera that turned out pretty nice as well. We also take a few photos, write a few words and occasionally go racing. This is our blog.